Saloca in Wonderland: My dream wedding dress? 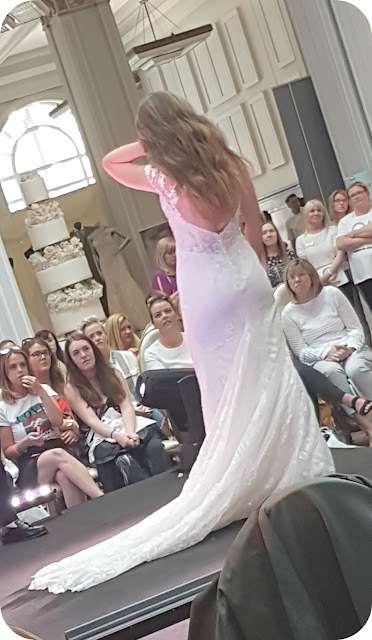 Having popped along to the Signature Weddings fair this past weekend in the historical Cunard Building on the Liverpool waterfront, it’s really got me thinking about my wedding dress for the big day! 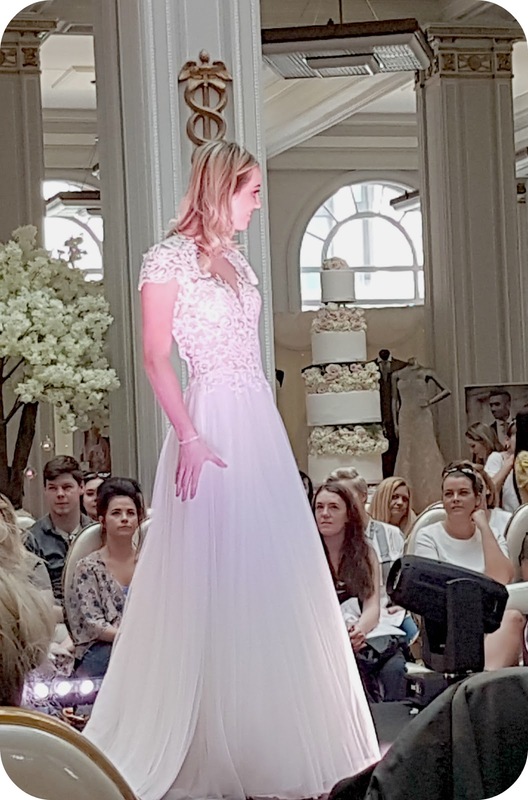 They put on an amazing catwalk show of some seriously beautiful, sweep me off my feet fairy tale wedding dresses - and only 24 hours after basking in all the glory that was the Royal Wedding, I’m riding high on confetti and bubbly right now! 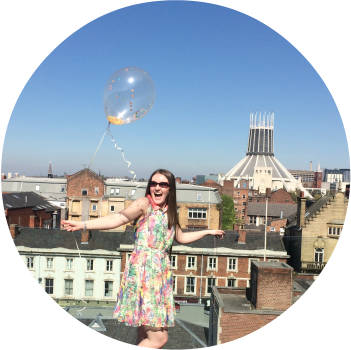 Let’s start off by saying at the time of publishing this post I have not tried on a single wedding dress - and have no upcoming plans to do so until we get a date (sorry Mum!). Don’t ask me why but I feel really weird about dress shopping before we get a date, like I’m jinxing something? Any brides or bride-to-be’s out there had this feeling? That being said, that has not stopped me drooling over wedding Pinterest posts and wedding dress store front windows. After seeing so many beautiful dresses this weekend at the wedding fair, here’s a run down of what I’m loving and loathing when it comes to dressing for my nuptials. I am a sucker for a regular dress with pockets, so to have them on my wedding dress would be a dream! I don’t plan on carrying around any sort of bag, but I will have a few bits and bobs I want to keep close to hand - mainly my phone. A phone free wedding sounds great but I know I am going to want to take pictures throughout the day. Yes, we’ll be having a photographer, but there’s something about those candid shots you take yourself that I just love. I doubt I can have anything anywhere near as extravagant as the Duchess of Sussex’s train but how much more of a fairytale dress does it become with a beautiful train? As long as it can be pinned up so I can dance the night away without taking half the dance floor with me, the train is happening. I’ve never been one for fitted dresses on the bottom. They just don’t suit my body shape at all and I’m convinced anything even resembling a mermaid tailed bottom would have me falling all over the place too. I want something I can really twirl in, and an a-line skirt is so flattering and pretty. It’s a must! Don't ask me why but there's something about seeing a bride hitch up her dress to walk about, her wedding shoes just peeping out that I actually really like the look of! I’m thinking a scooped out back with beautiful lace detailing that continues up and over the shoulders and onto the chest. It just looks so intricate and fancy - especially if I have my hair up, that lace detailing will be a show-stopper in itself. I am not one for bling and glitz on wedding dresses. Keep your sparkle and rhinestones away. I much prefer embroidery - and if I do have any sparkle, it’ll be coming from my accessories. One thing I loved about the Duchess of Sussex’s wedding dress was it’s simplicity, if anything it highlighted her own beauty and really put the focus on her tiara, bracelet and smile. I don’t know when I’ll start trying wedding dresses on but it’ll be interesting to see how what I think now about what I want will change when the time comes! 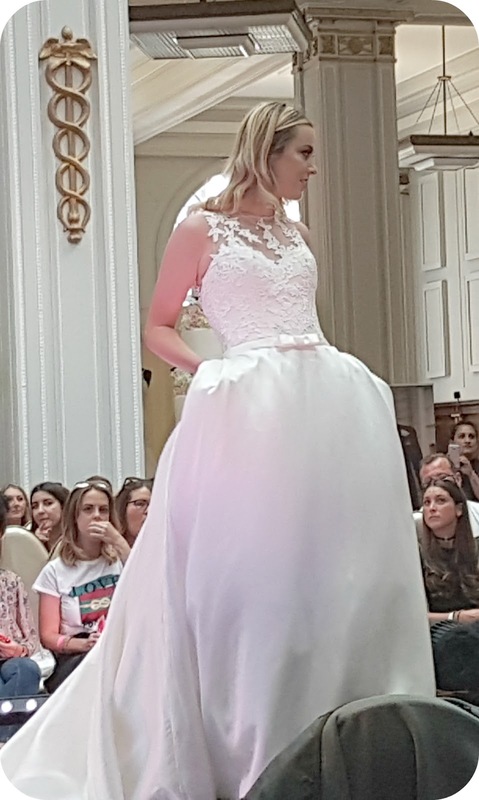 So many brides have told me that their dream dress ended up being the complete opposite to what they originally thought they wanted - so watch this space! 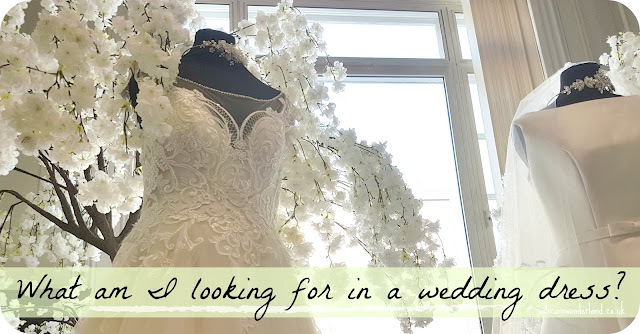 What are you looking for in a dream wedding dress? I've had my dream wedding dress. I wanted a princess style, full skirt with hoops. When I found the one I was looking for I was alone, after going with my bridesmaid to try on dresses a few times. Even so, it was a magical moment, when I saw how I looked... it was one of those "say yes to the dress" kind of moments. I hope you'll have the same feeling too. I bought my wedding dress 11 years ago. Now, if I was looking for a wedding dress (for vows renewal) I would pick a different style, but I'm not in my early 20s anymore. Looking for your wedding dress is such an exciting experience. I had no idea what I really wanted so went into looking completely open-minded. I knew I wanted to look and feel amazing but it wasn't the most important thing to me so I didn't have that resounding epiphany moment that some brides-to-be have. But I loved my wedding dress and am so sad I can't just waear it out and about every day - haha. I think I'd go for a dress in pockets! It must be so stressful trying to find the perfect dress!